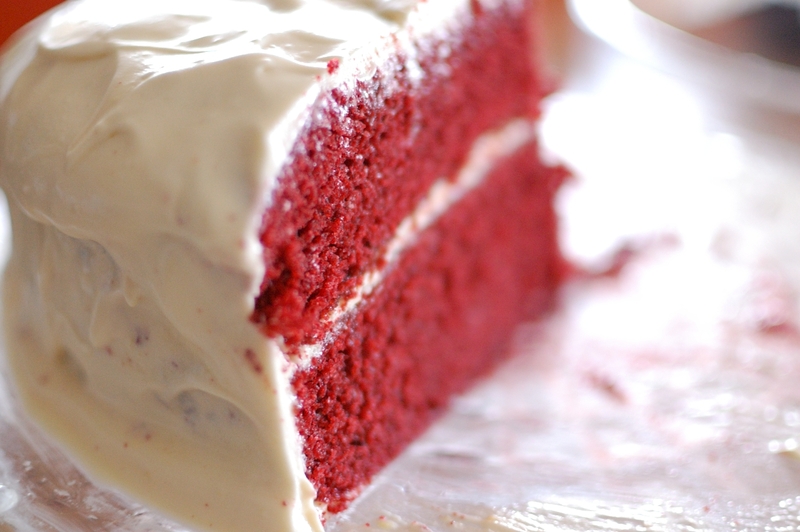 Easy Red Velvet Cake Recipe – Moist Red Velvet Cake Recipe – Recipe For Red Velvet Cake | Cook Eat Delicious! Who can refuse a moist, chocolatey (I know it isn’t a word but you know what I mean) slice of cake, smothered in a cream cheese frosting? I know I can”t. But for the life of me I don’t know why I always passed up red velvet cake at dinner parties. I really just didn’t know that it was chocolate cake colored red. Why color it red? Who knows, but once I was finally coaxed into eating it, I loved it. 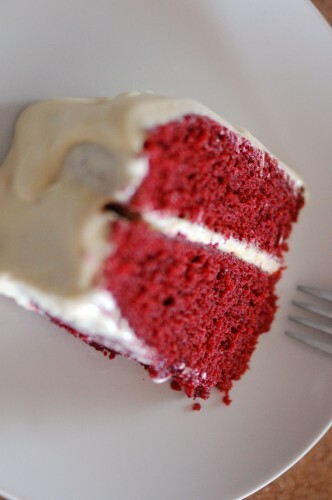 So for cake’s sake and mine, I had to make a red velvet cake at home and make sure the recipe was easy enough to want to make it again and again. The secret to this perfectly moist cake is the white vinegar and buttermilk. The crumb is perfect, soft, melt in your mouth yummy…you won’t want another recipe for red velvet cake ever again. 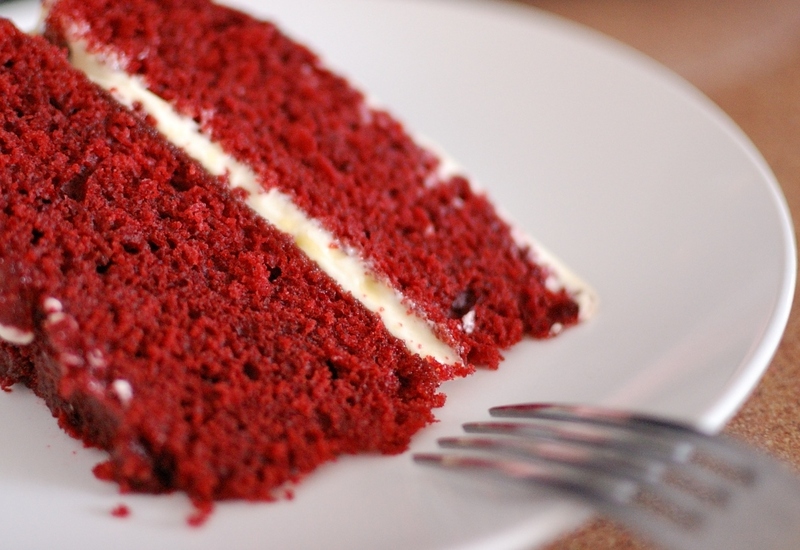 Don’t want a red cake? 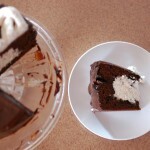 Leave out the food coloring for a just as delicious chocolate cake. 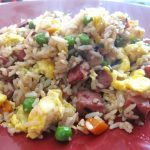 Delicious Rating: I have made this recipe a few times now and love it more and more each time. 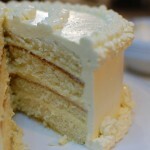 It is the perfect layer cake and works wonderfully as cupcakes as well. Each time this is served it is gone, none left over what so ever. I used just a basic cream cheese frosting, you can use your favorite recipe or if you prefer the cake alone, it would be perfect with ice cream too. There is 1/2 cup of hot coffee in the recipe that really enhances the chocolate and you mustn’t leave it out! If you give this a bake let me know how you enjoyed it. Frost with your favorite Cream Cheese Frosting. 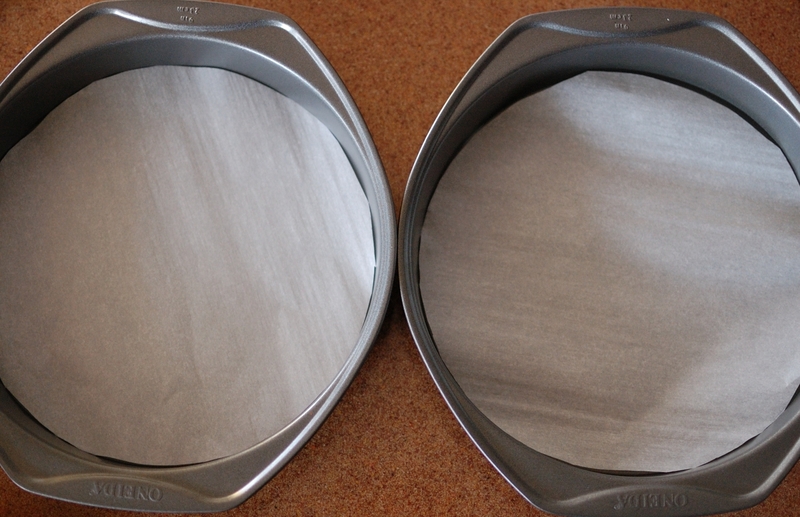 Line two round nine-inch cake pans with parchment paper and lightly grease sides. Whisk flour, baking soda, baking powder, salt, and cocoa powder together in a medium bowl. 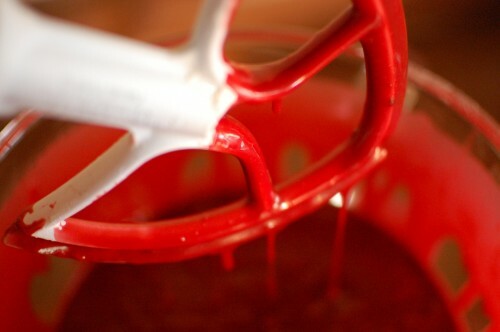 In a large bowl whip sugar and vegetable oil. 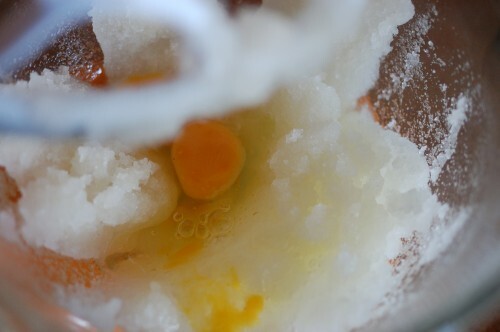 Mix in eggs to sugar mixture one at a time. 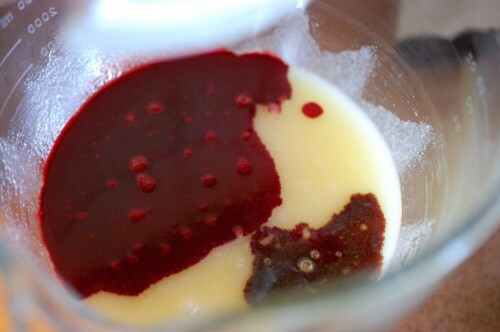 Mix in buttermilk, vanilla, and food coloring until well combined. Add in coffee and vinegar. Slowly mix in flour mixture to wet ingredients until just combined. 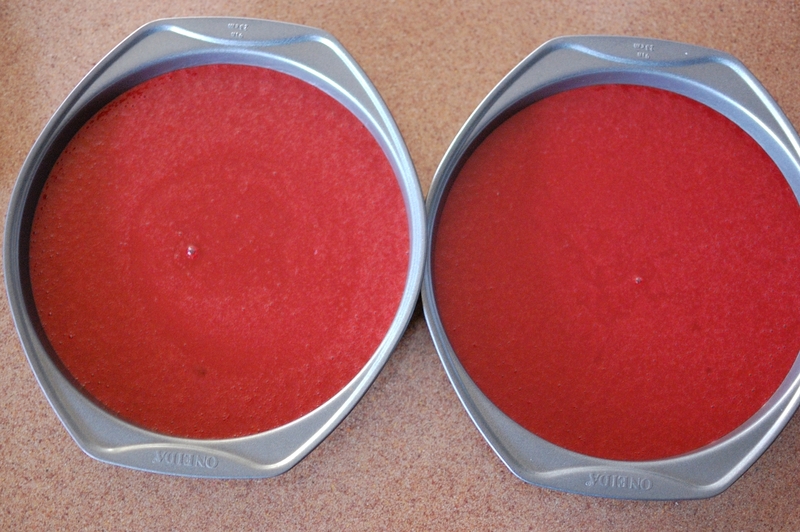 Pour batter evenly into both cake pans. Let cool on a wire rack for 10 minutes then invert them onto rack. 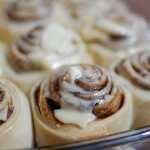 Frost with your favorite cream cheese frosting once cool. I brewed the coffee first so that it would be fresh and hot once I needed it for the recipe. sorry, it’s just that I’ve been taught that those things aren’t healthy at all. But i’m not sure. In huge amounts I am sure it wouldn’t be healthy to eat or ingest but the small amount for the cake is no problem. And there is red food coloring in tons of foods you may not even realize! Hi, If I am going to use regular coffee ( store bought powdered coffee) how many teaspoon/s will I use for half a cup of water? By the way will the recipe turn out okay if I cut it in half? Thank you. Follow the directions on the coffee for making one cup and then cut that in half. You need to use the whole 1/2 cup of coffee for this recipe to turn out delicious! Can I use butter/margarine instead of vegetable oil and what difference would it make. I have found that the texture changes when using butter, so it just depends on what you prefer. I like the cake using vegetable oil but I know many don’t like to use it. Let me know what you decide! I am going to try out this cake right away. I baked it last week using a different recipe, and it came out rather heavy. So am thinking using the oil instead of the margarine brings out the moistness that I prefer in cakes. Am hoping for the best. Thanks for this recipe. I love how moist this cake is without being heavy. Let me know how it works for you Candy! How much store bought coffee powder did you say to use? Id us just nescafe instant . If she doesn’t love this cake Jade, then sorry for her! It always is a hit. 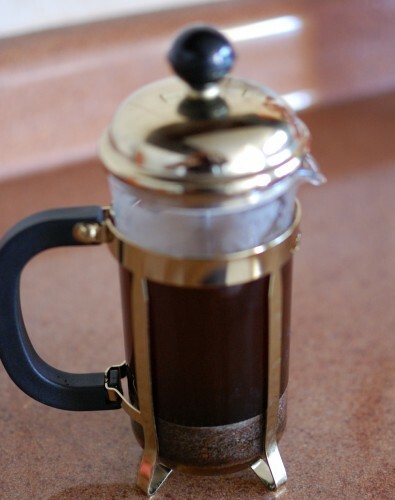 Use any coffee, instant or made in a french press or machine. Just put 1/2 cup in the recipe. I want try this recipe out; however, I will appreciate if you can give the grams/kilograms/ml equivalents of the ingredients you have used to make this cake. I love this recipe but have never used the measurements with grams. Try the following link for conversions! You would have to read the instructions on the instant coffee you are using on how much to use to make a cup of coffee. From that cup you can use 1/2 cup for the recipe. why do you have coffee as ingredients ? what is that for ? The coffee adds to the richness of the chocolate and also softens the crumb. The cake looks so yummyyyyyy ..
Can u please tell, how to make cheese cream, i am not able to find it here in stores. Please guide me as how to make this at home. I use a recipe for the cream cheese frosting, Cream together 16 oz of softened cream cheese and 1/2 cup of softened butter until creamy. Add in about a teaspoon of vanilla then mix in 2 cups of powdered sugar or more to get your desired thickness! Hope this helps Amy! can I used apple cider vineger instead of white distilled vinegar? will it affect the taste? and if I used substitute buttermilk (milk + vineger or lemon juice) instead of buttermilk will it affect the taste?? 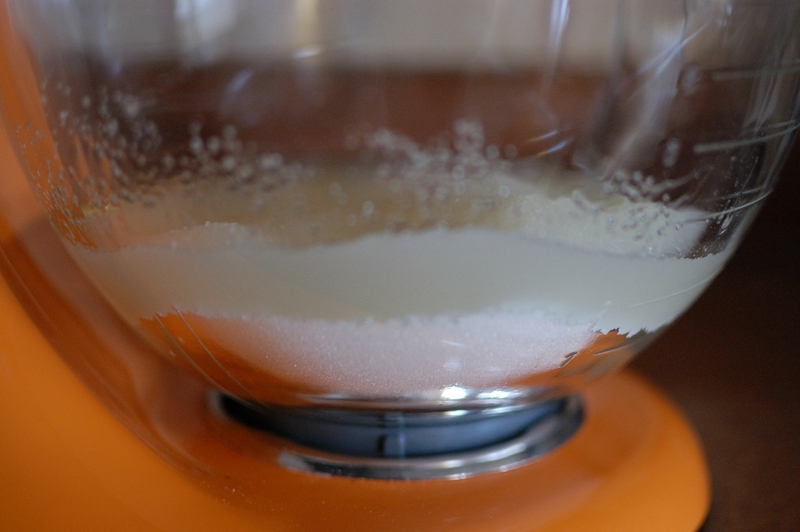 The cider will not affect the taste at all Yen, and neither will using a buttermilk substitute. 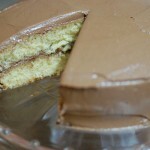 I actually have for this cake, using the milk & lemon juice substitution and it turned out just great! I made a red velvet cake once using the cider vinager and the cake crumbled when cut, so I prefer to use the cider vinager for the cupcakes. I will be trying this recipe next week. Let me know how it turns out CK! I am about to attempt to bake this lovely looking cake but I don’t like coffee is there any way to substitute it with something else or can I just leave it out completely? Dorothy, the coffee doesn’t affect the taste of the cake, it will not taste like coffee at all. Rather it will intensify the richness of the chocolate and create a softer crumb. Let me know how it turns out! Okay I just just made the driest red velvet cake ever and have to throw it away. I looked for another receipe and found this which looks so great and makes a lot more sense. My hubby bd is monday so I am about to try this one. 1. How do I get the cream inbetween cakes? 2. My oven doesn’t have the numbers on the nob,just high and low, what do I do? Being that the first cake got burnt. Hi Mo! You will love this cake. I am sorry about your oven settings, can you try putting it between high and low? Or bake on low and check it after the baking time. 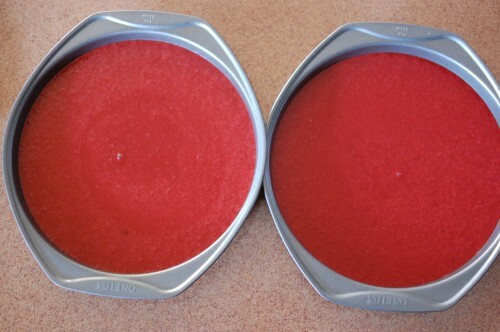 When you frost the cake, place the frosting on top of bottom layer and top with the second layer of cake and frost sides and top. Enjoy the cake! I just finished baking this cake and it turned out great! Really moist and full of flavour. Thanks for the recipe! Glad it was Delicious Shau! Thanks for this recipe. I’m going to try it at once. Let me know how you enjoy it Augustina. I love this recipe! I used regular cocoa powder by Hersheys. But you most certainly can use a dutch processed cocoa powder, it will give some more depth to the chocolate! Thank you so much for thr quick response. I’ll be trying your recipe during the holidays. Thanks!! I tried it twice and it was so good!!!! Best recipe! I did replace the oil with melted butter and Cake flour instead of All purpose flour. This was good as well just needed to be cooked longer. I will try your substitutions next time I bake this delicious recipe Valencia! Hi Mam… kindly assit with the frosting I tried it but it did not come out nice like yours… kindly give instructions on did you make it. Cream together 16 oz of softened cream cheese and 1/2 cup of softened butter until creamy. Add in about a teaspoon of vanilla then mix in 2 cups of powdered sugar or more to get your desired thickness! Let me know how this works for you Bongi! I just want to know if i made this into cupcakes how long would i bake them for? If you fill the cupcake tins 2/3 full, bake for 20-22 minutes, check if they are done with a toothpick! I know they will love it Rejoice! Can I substitute half cup coffee with coffee paste? How many spoonful do I need and how much liquid to add to make up the correct measurement? Can I use demerara sugar? Thank you. You can use coffee paste, just follow the directions on the paste to make 1/2 cup of coffee for this cake recipe. 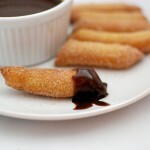 Demerara sugar should be fine, but the can add a caramel type taste, especially since the recipe calls for 2 cups. You can add a tbsp of fresh lemon juice to a cup of milk and let it sit for five minutes to make a substitute for buttermilk. As for the coffee Nelly, maybe hot chocolate or even a coffee liqueur? I can’t say how it will turn out without the coffee because I have never substituted it. Hope your sister enjoys it! I’ve been researching/comparing recipes all day and this recipe looks the best by far! I’m baking a Red Velvet cake for my Co-worker’s Birthday per his request and after talking about Red Velvet cakes I disappointed him by saying it was a chocolate cake with red coloring. Apparently he does not like chocolate cake but likes Red Velvet cake. (too funny) So my question is if I omit the coffee how will it affect the cake? The coffee adds a richness and softens the crumb. You shouldn’t leave it out Sara! Hello, thank you so much for this amazing recipe, I made my cake into three 20cm layers, used cake flour because the recipe I used before didn’t work for me but this one did, and adding coffee is really great, the taste is just superb! Used buttercream with some added sour cream as my sister doesnt like cream cheese, and it was still good:)Thank you! I love this recipe too Eve! Glad it was enjoyed!